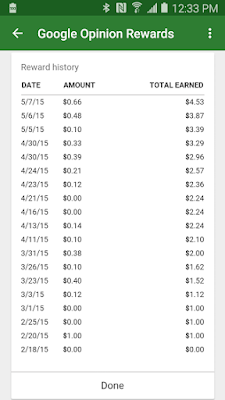 A few months ago, I installed Google Opinion Rewards on my phone. Every few days, it'll pop up a notification saying I have a new survey available. Each survey contains one or two questions, usually along the lines of "Which of the following stores have you visited recently?". You spend less than a minute answering the question(s), and Google deposits a little bit of pocket change into your Google Play account. 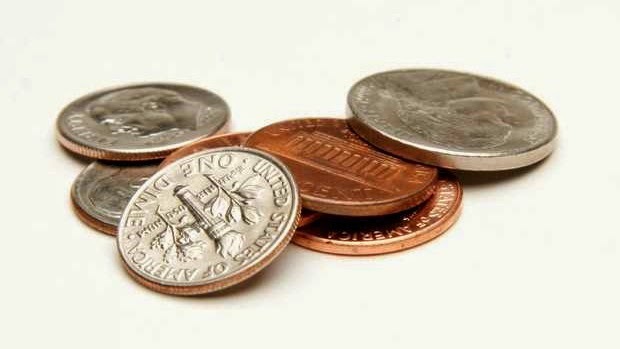 At this rate, I'll get about $20 per year. It's not a huge reward, but it's good for a free app every couple weeks. You can also use the balance for books, music, movies, or anything else on Google's Play Store. 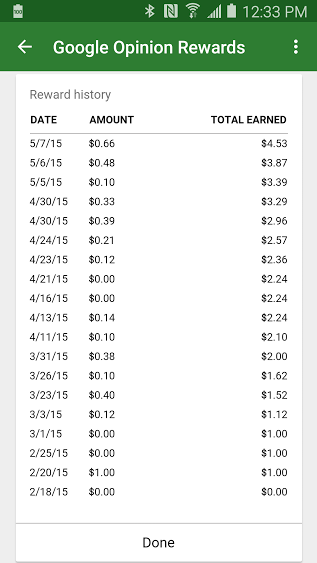 AUGUST 2015 UPDATE: After 6 months with the app installed, I've earned $20. Several months from now, I should have enough banked up to get a decent discount on a new Google Nexus phone.